(June 17): 1Malaysia Development Bhd (1MDB) president Arul Kanda Kandasamy said he believed Parliament's Public Accounts Committee (PAC) would treat him fairly in its probe of the troubled state investment firm despite public statements by one of its members, DAP lawmaker Tony Pua. “I refer to various statements on 1MDB and me, attributed to Tony Pua, as reported in certain online publications today. Tony Pua is a member of the bi-partisan Public Accounts Committee (PAC), before which I have been called to appear on August 5, 2015. "Notwithstanding the various public statements on 1MDB from PAC member Tony Pua, I have every confidence that the honourable members of the committee will allow me a fair opportunity to explain 1MDB’s position, to a lawful authority, per the requirements of due process," Arul Kanda, who is also the firm's group executive director, said in a statement today. PAC is a bi-partisan committee and Pua, the Petaling Jaya MP from opposition party DAP, has been among 1MDB's fiercest critics, even calling Arul Kanda a "liar" over his answers to questions raised about the firm's controversies. 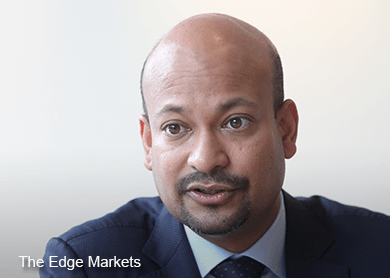 Pua accused Arul Kanda of lying in an earlier press statement today over the repatriation of 1MDB investments in the Cayman Islands parked in BSI Bank in Singapore, as to whether they were in cash or in units. 1MDB is owned by the Finance Ministry and has incurred debts of RM42 billion in six years of operations. It is now being investigated by PAC, as well as the auditor-general and Bank Negara.